What flower’s fragrance is your absolute favorite? We all know that the roses smell wonderful, and many enjoy the heavy, deep aroma of gardenia. Down south, wisteria and jasmine are often planted for the glorious perfume they bring to a yard. And while the flowers are tiny, the scent of lily of the valley is exquisite. But if you’ve ever been lucky enough to visit an orange grove in March when the trees are in bloom, then you’ve experienced one of the most delicately beautiful fragrances on earth. There’s really nothing quite like this scent, which is sweet, light, ethereal and somehow very fresh. Aromatherapy holds that the essence of orange blossoms is naturally cheering and uplifting, and I’m certainly inclined to agree. I’ve even heard it said that heaven must smell like orange blossoms. While the flowers aren’t extremely showy, orange blossoms also certainly have a dainty, feminine beauty. Interestingly, they’ve long had an association with weddings and love, dating back thousands of years. 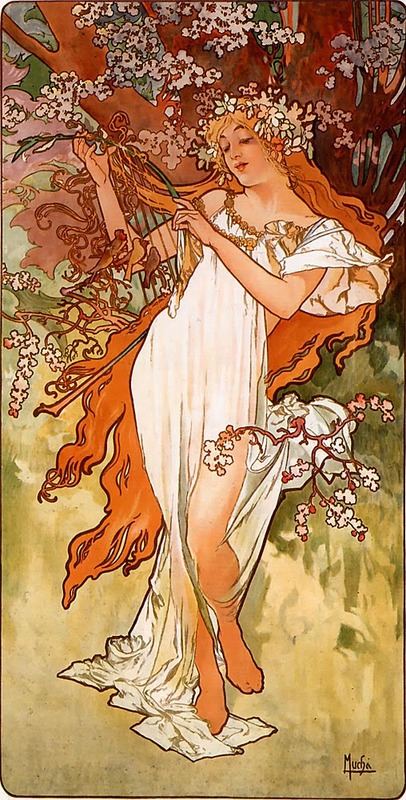 Greek mythology holds that when Hera wedded Zeus, Gaia, the earth goddess, crowned her with orange blossoms as a symbol of love and fertility. of orange blossoms instead of a tiara. Much later, orange blossoms became madly popular among Victorian brides after Queen Victoria chose to wear a wreath of the fragrant flowers on her wedding day. Bride after bride followed suit, wearing the blossoms in their hair or carrying them in their bouquets. Artisans even crafted imitation orange blooms out of wax for women who couldn’t get their hands on the real thing. 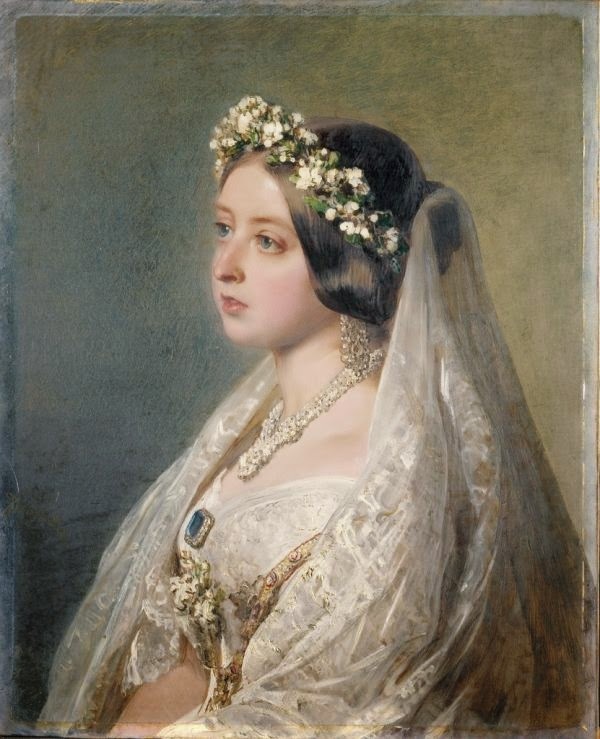 Women who yearn for a Victoriana wedding can still purchase these wax hair ornaments today, and tiaras, wedding jewelry, and even wedding dresses with orange blossom themes and ornamentation remain popular–and lovely. Orange blossoms are edible, though not many of us in this country have been lucky enough to try them. In Morocco, the flowers are steeped with mint and green tea leaves to create what must be a gloriously sweet-smelling beverage. They can also be candied or used to decorate baked goods. 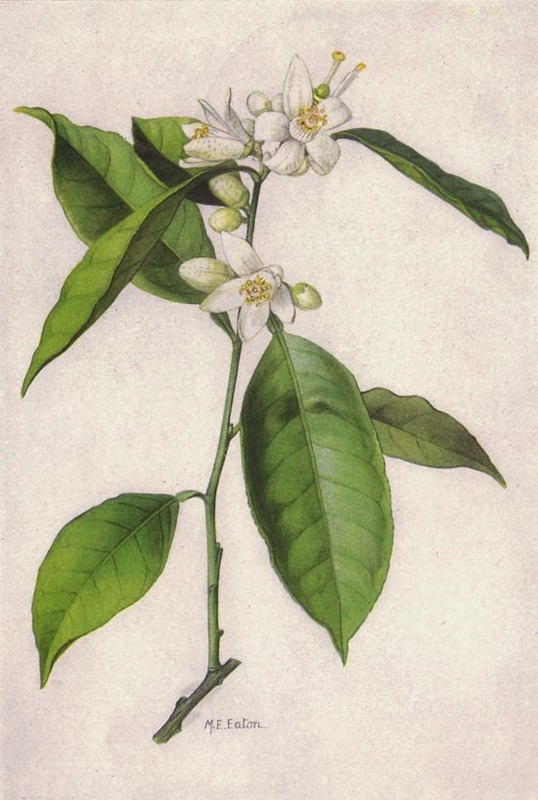 Commercially, the blooms of the bitter orange tree are used to make orange flower water, an ingredient in Middle Eastern and European cooking. 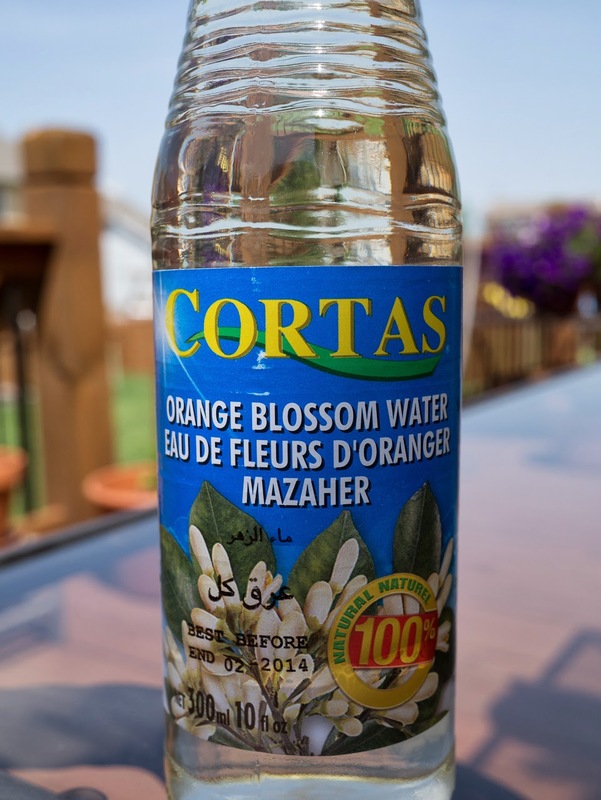 Orange flower water lends its sweet perfume to treats like baklava, meringues, and madeleines. 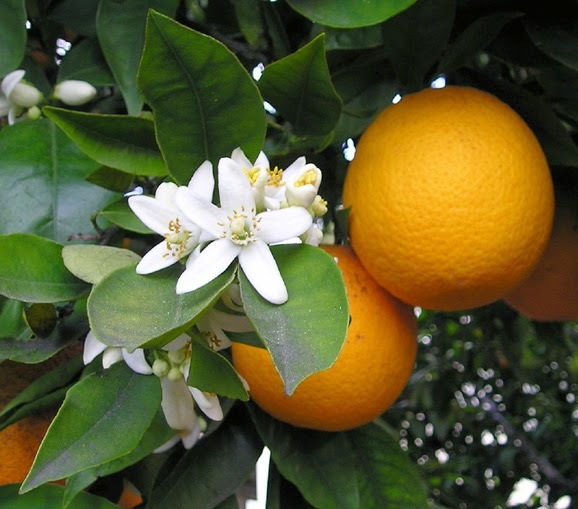 Appropriately enough, the orange blossom is the state flower of Florida. If you’ve never had a chance to appreciate this enchanting scent, I hope that one day you’ll have the opportunity. For now, you might seek out one of the many perfumes, fragrances, or essential oils derived from the flowers. Or maybe you can get your hands on one of those tasty baked goods made with orange flower water. In the meantime, we might suggest enjoying the sweet, delectable flavor of a fresh orange or tangerine. After all, they’re the delicious end result of these fleeting, sweet blossoms. "Orange Blossom and Oranges" by Ellen Levy Finch licensed under CC-BY-SA 3.0. "Orange Blossom Water" by Liquor and Drink.